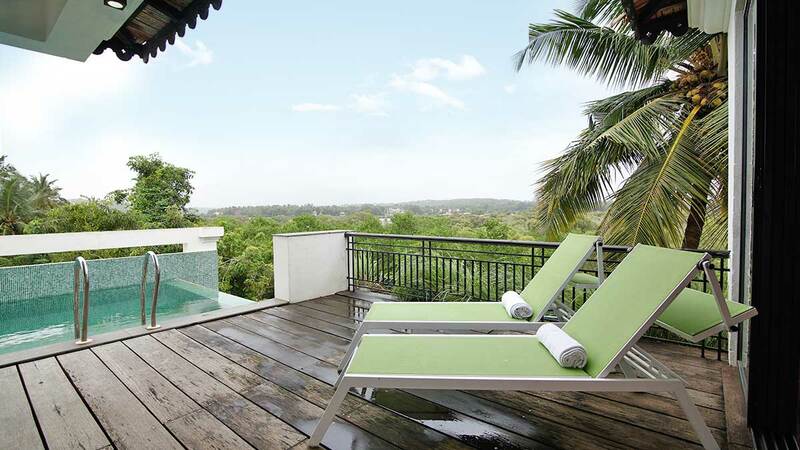 Villa Indigo is a beautiful 4 bedroom villa with a rooftop private pool overlooking lush green tropical foliage adjoining the Nerul river. 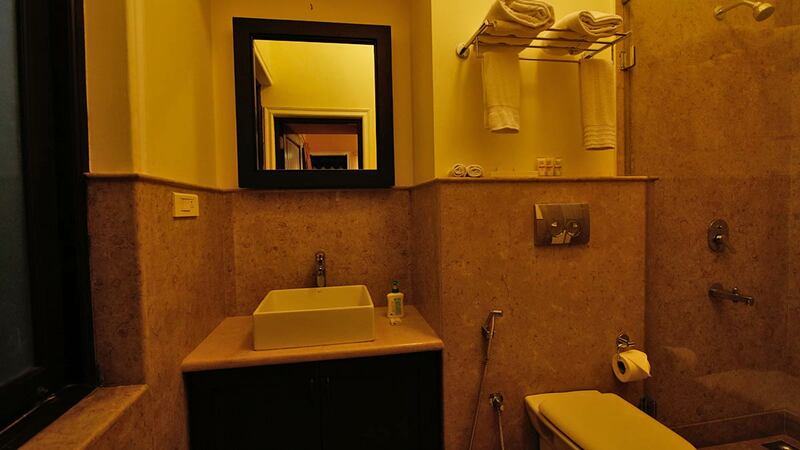 From the décor to the furnishing and amenities, no detail has been sidestepped. 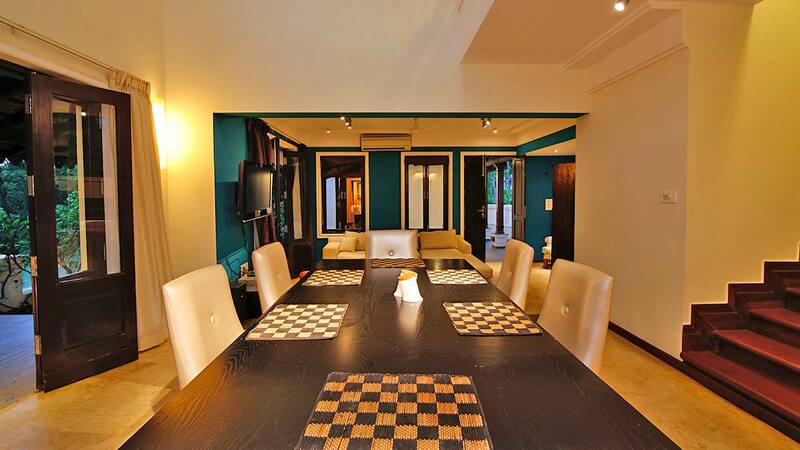 Villa Indigo is a beautiful 4 bedroom villa for rent that can host a maximum of 8 adults, offers you luxury and comfort to create beautiful memories. 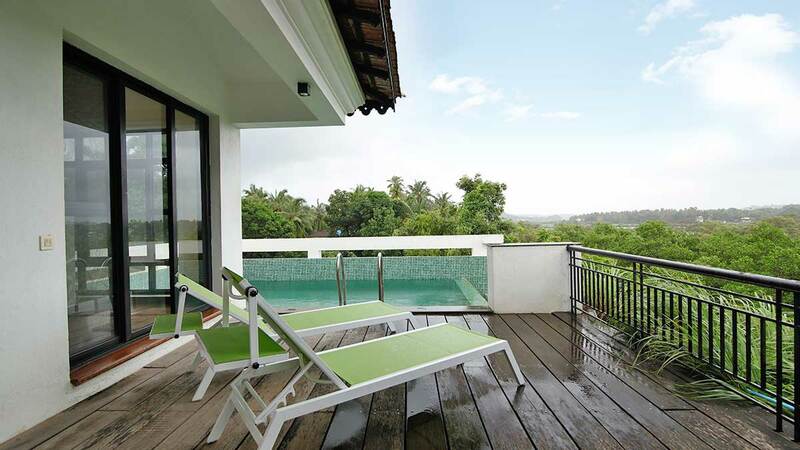 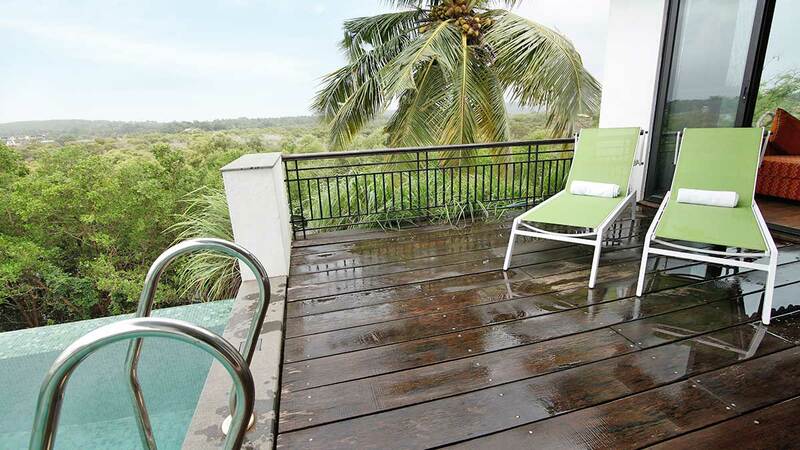 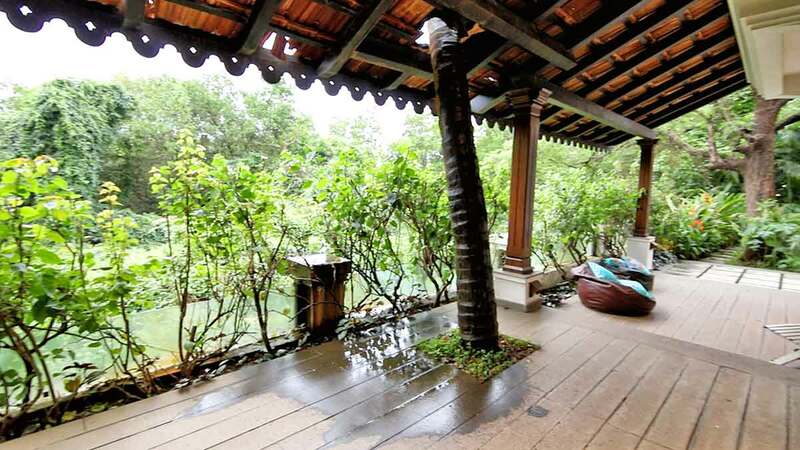 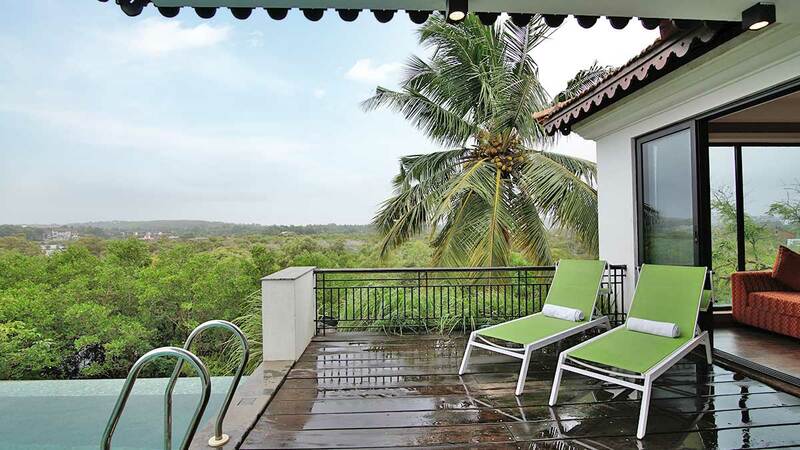 The large balconies and deck let you soak in all the sun and immerse in the lush green tropical foliage. 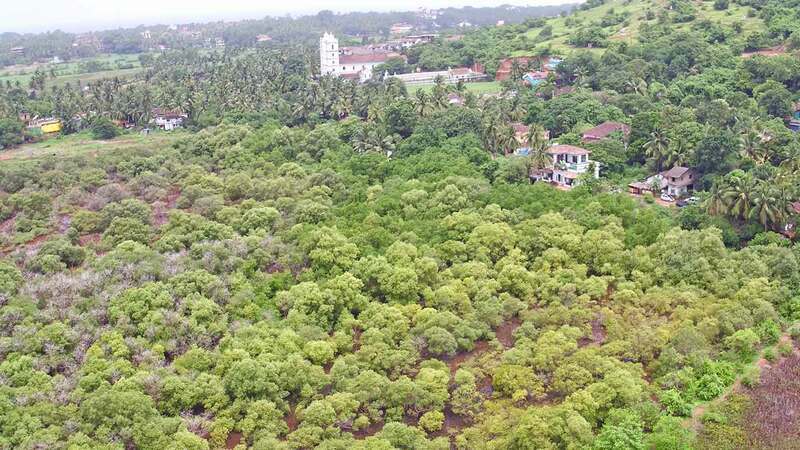 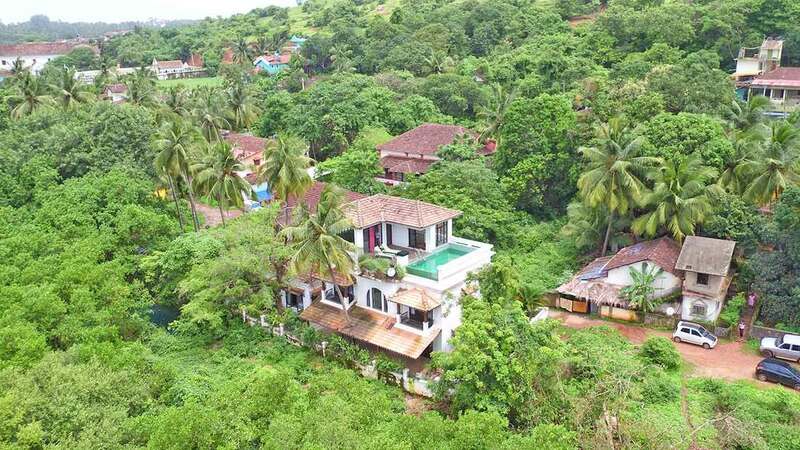 From the décor to the furnishing and amenities, no detail has been overlooked to ensure your stay at this villa in North Goa will be one that you will want to repeat.The Beautiful pristine sandy beaches of North Goa are a short drive. 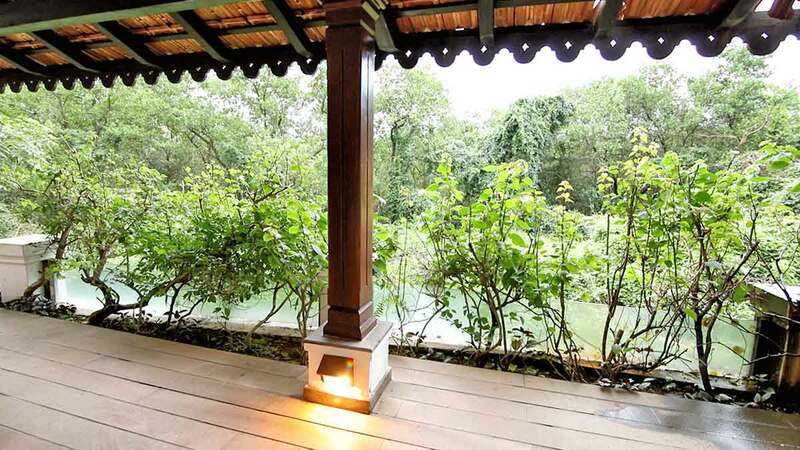 Your magical tropical experience begins the moment you enter into the large beautiful living room which opens up to the most beautiful deck through large French doors. 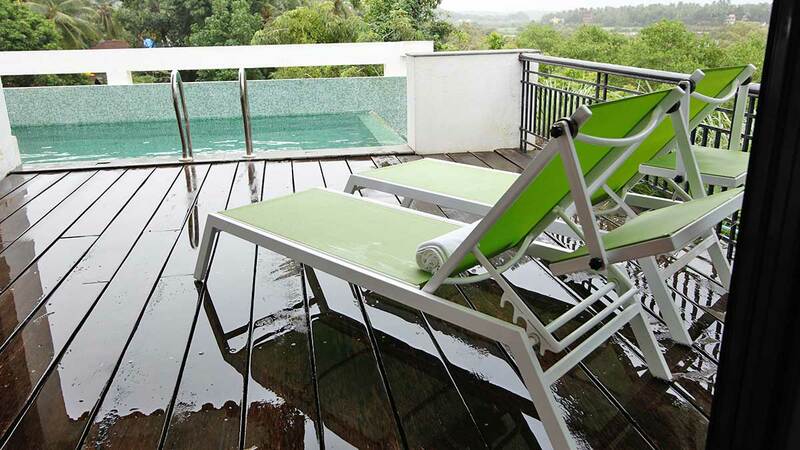 Even on rainy days you can sit out and enjoy the beauty of nature. 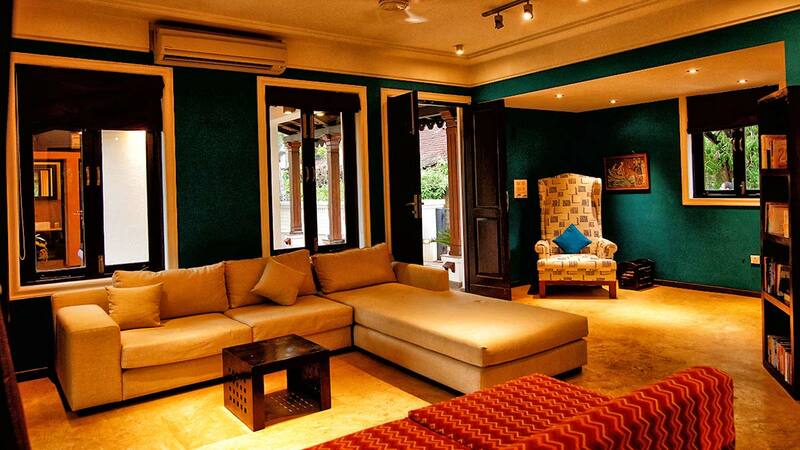 The living room is comfortably furnished with sofas and a TV for everyone to enjoy together. 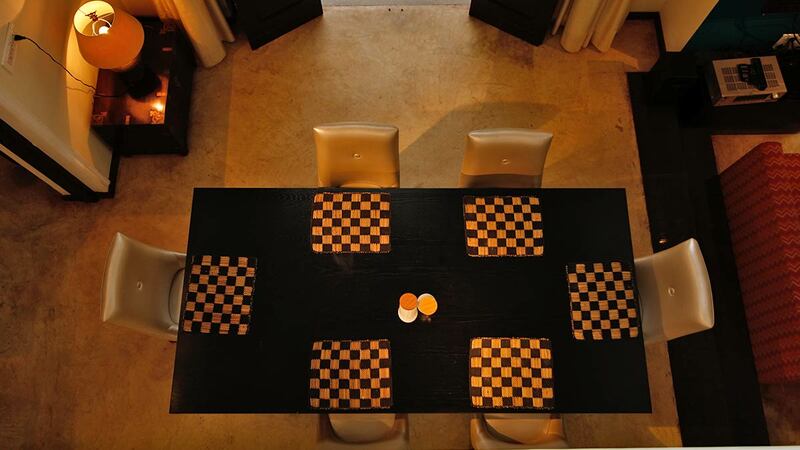 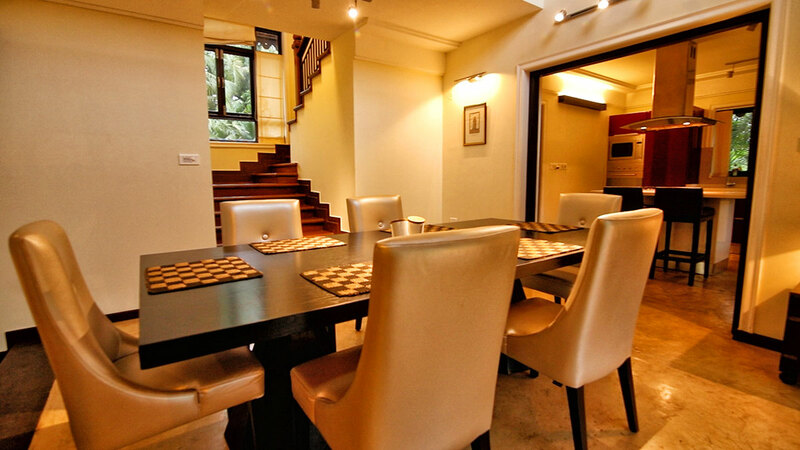 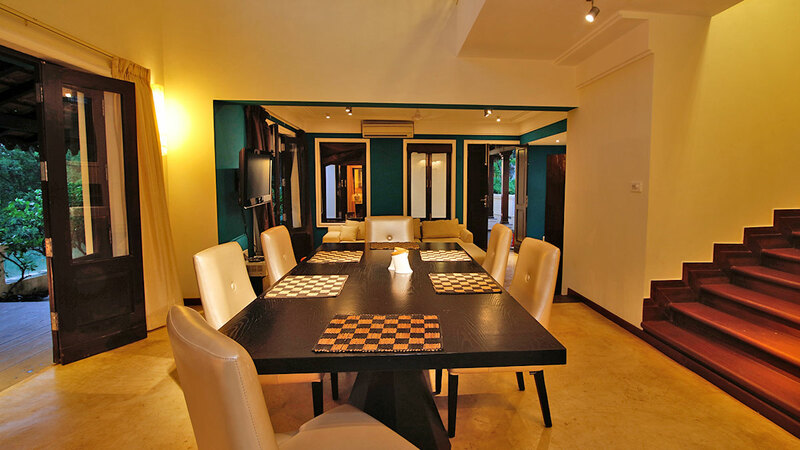 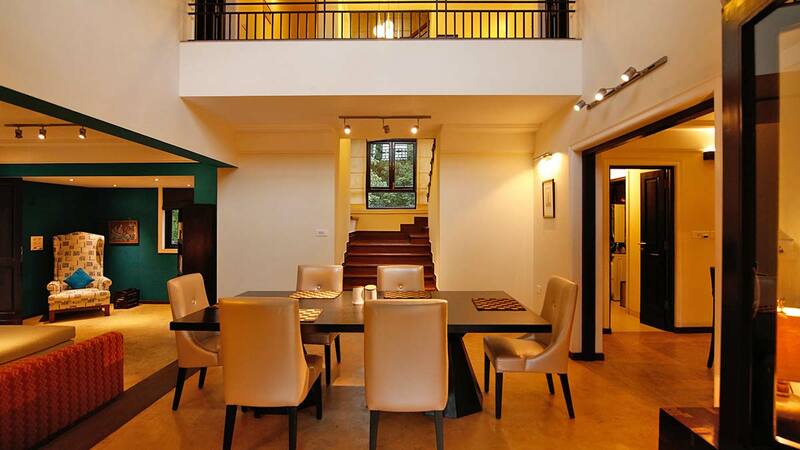 The living rooms leads you to the exquisite dining area with a 6 seater dining table. 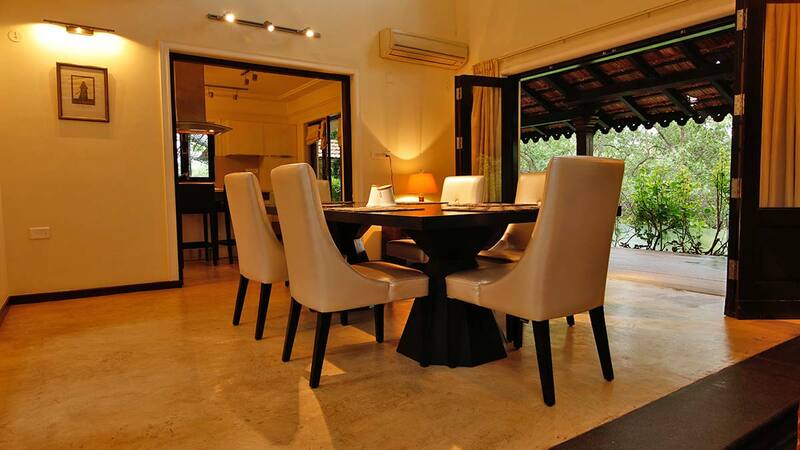 The dining room with its double height ceiling and large glass skylights provides enough natural light and let you experience the charm of Goa back in times. 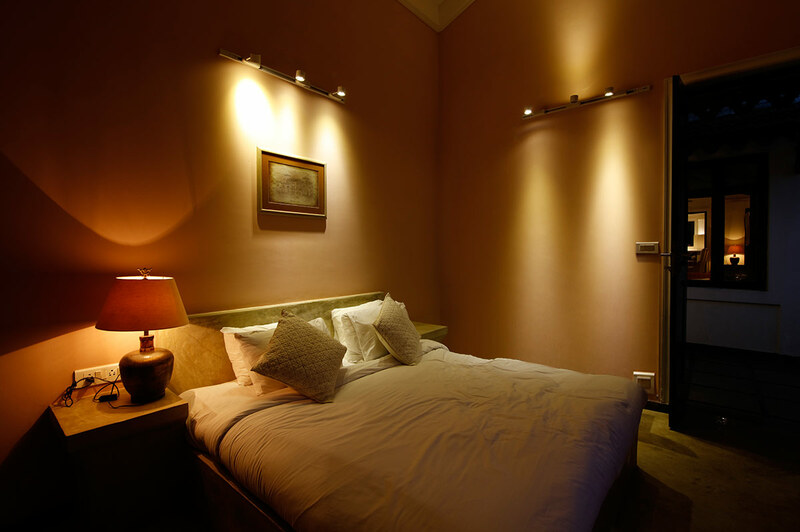 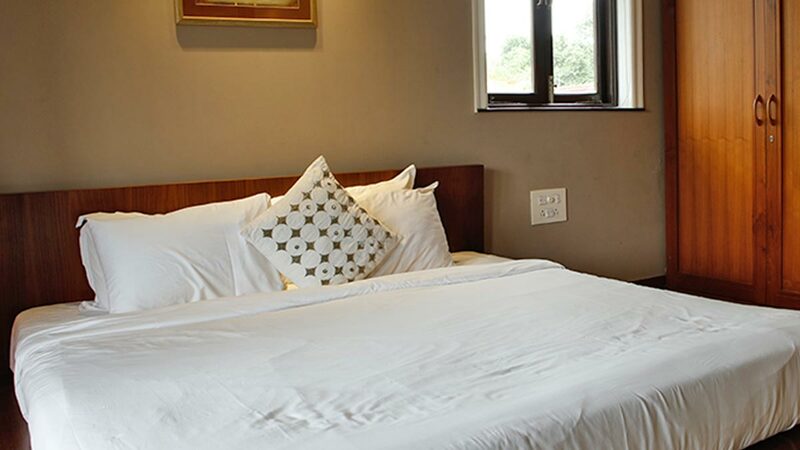 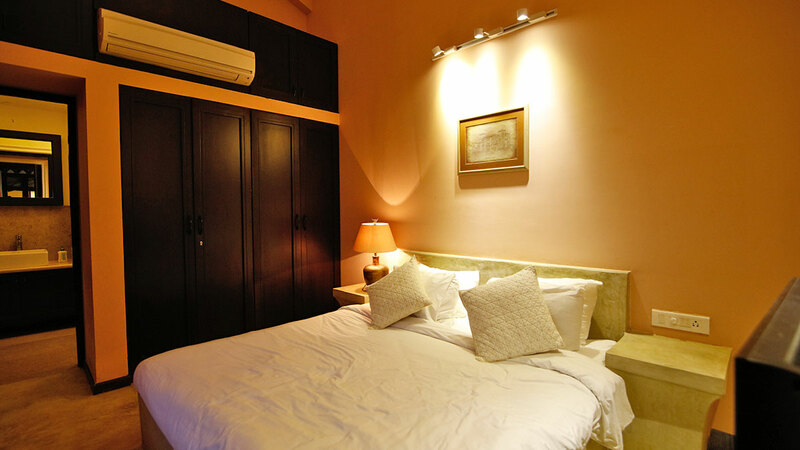 For the convenience of our guests, there is a washer and dryer on the same level along with a servant’s room. 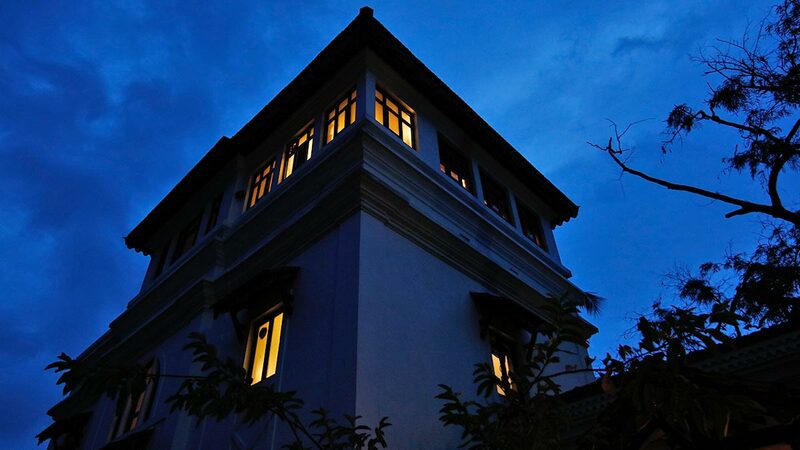 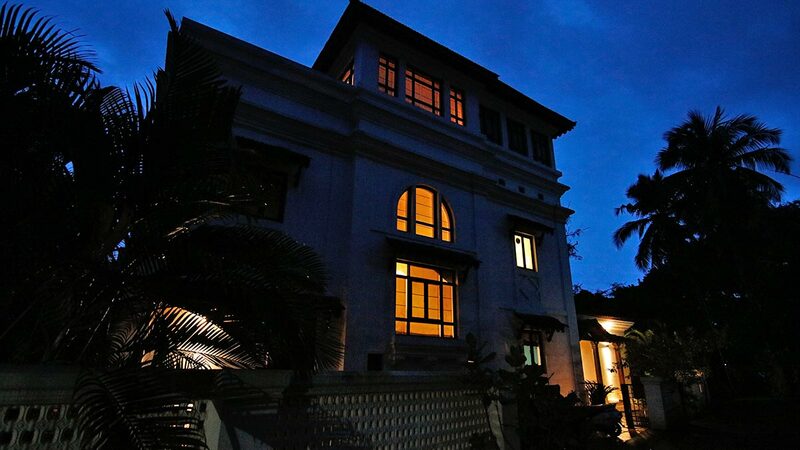 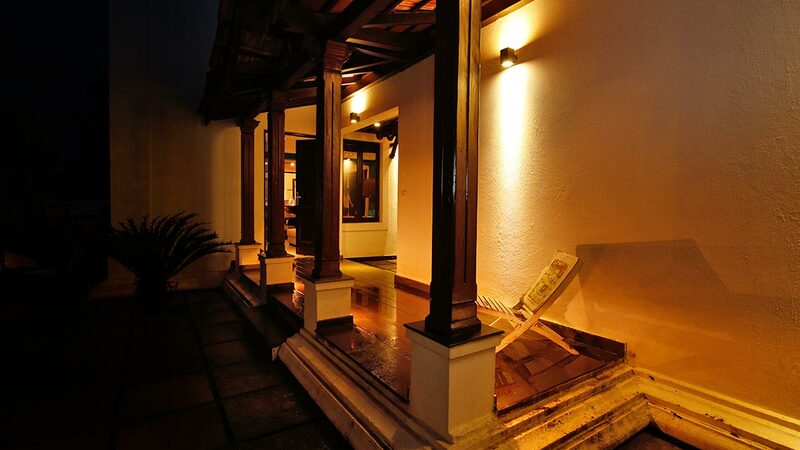 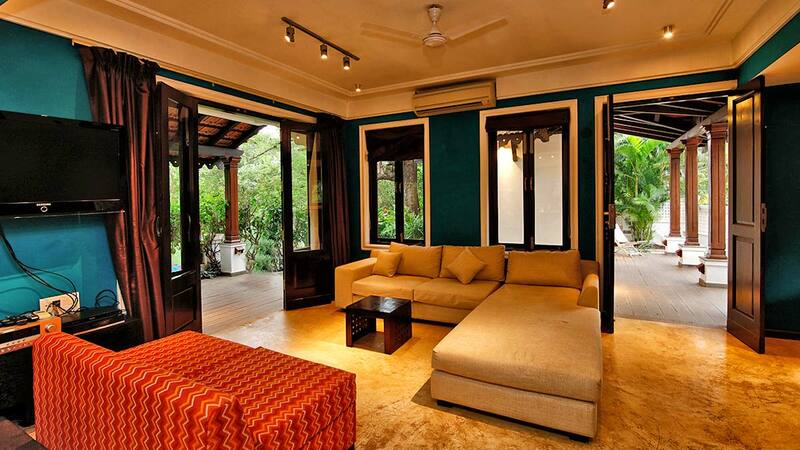 This villa with private pool not only takes to back in time but is also perfectly equipped with all modern amenities. 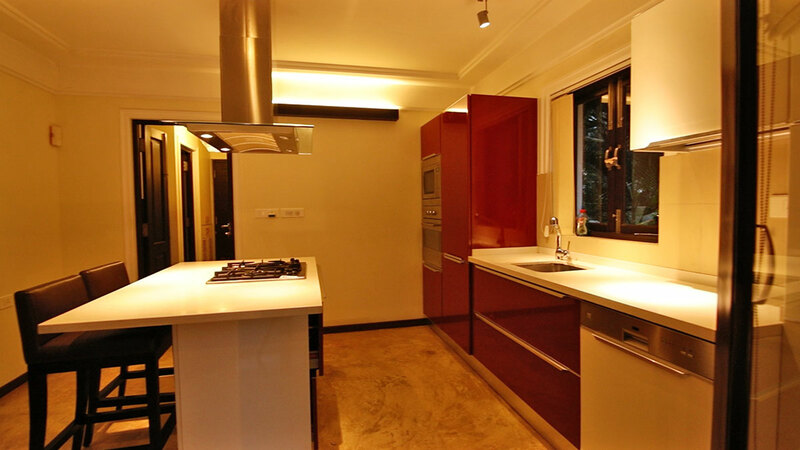 The ultra modern kitchen with its top of the line appliances will bring out the best of your culinary skills. 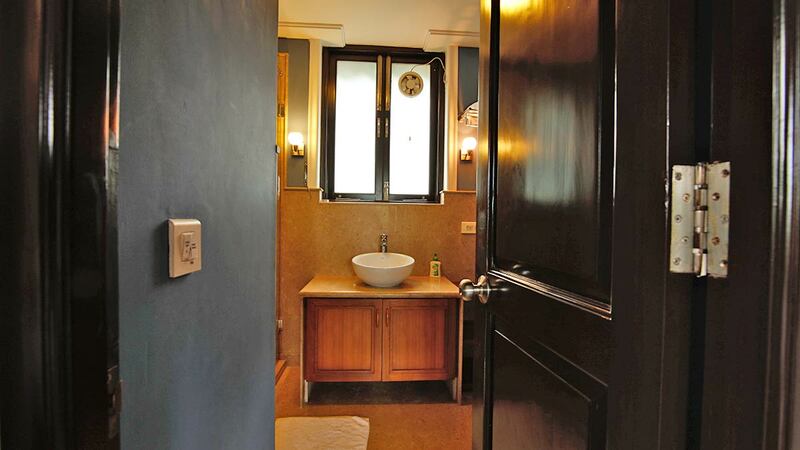 It is fully functional with a hob, chimney, fridge, microwave and the best cutlery, crockery and cookware. 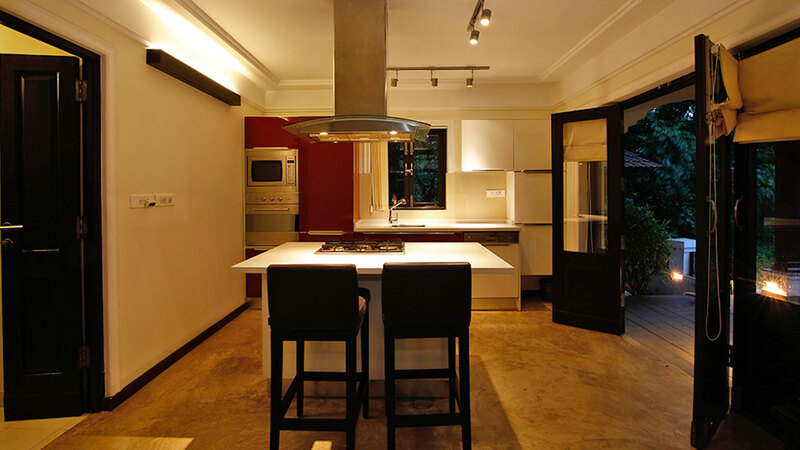 Should you need the services of a chef, the same can be arranged at additional cost. 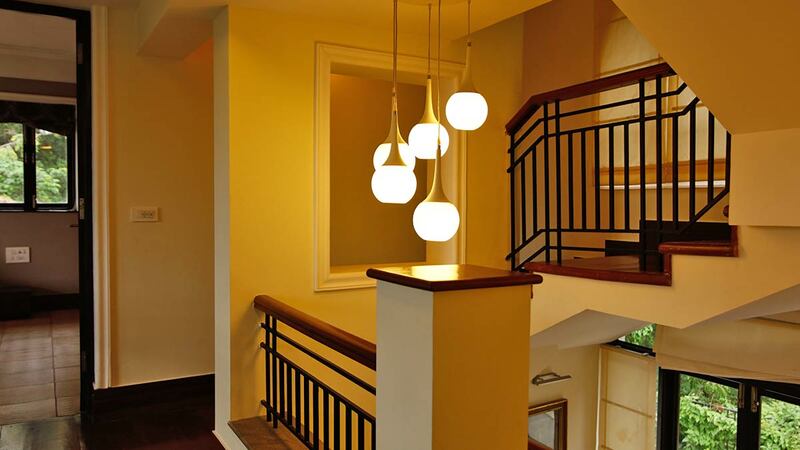 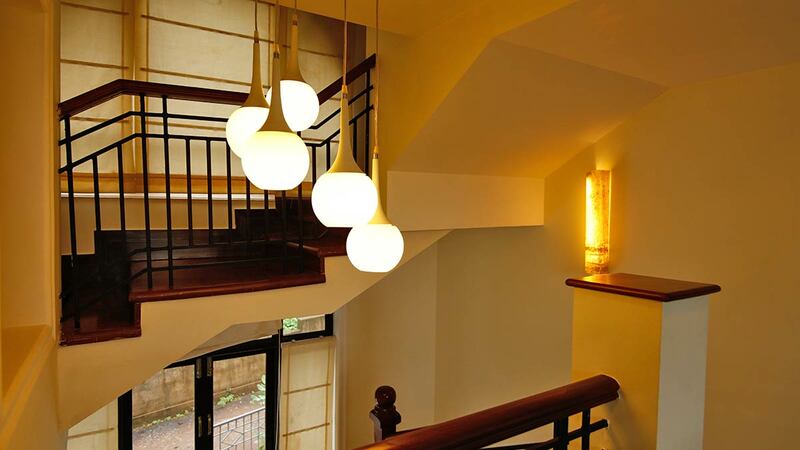 As you go up the stairs from the ground level, you are welcomed by two bedrooms that are beautifully furnished that promise you the comfort of your home. 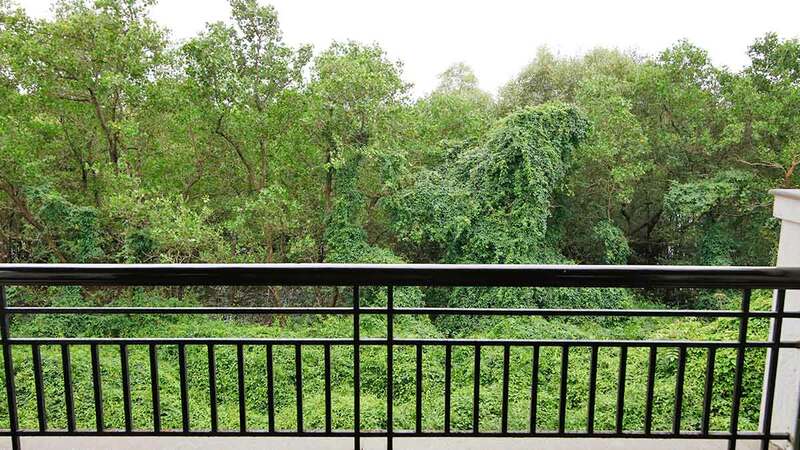 Both these bedrooms with ensuite bathrooms and open into their own private balconies where you have totally unobstructed view of carpets of green till you can see. 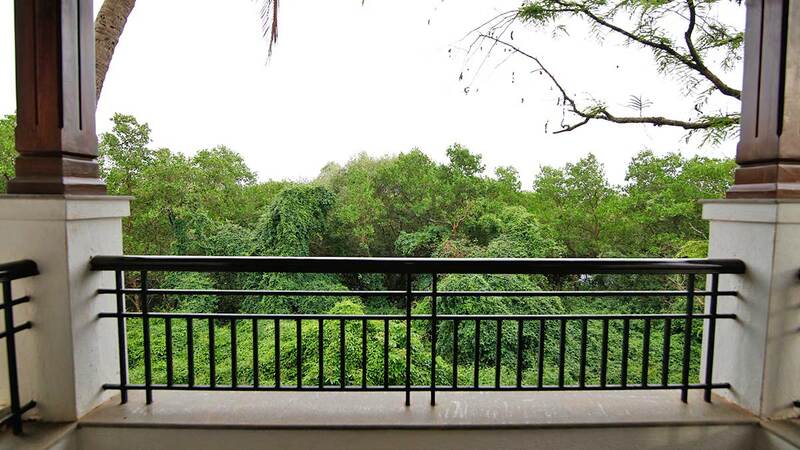 Enjoy your morning cup of coffee with the chirping of the birds. 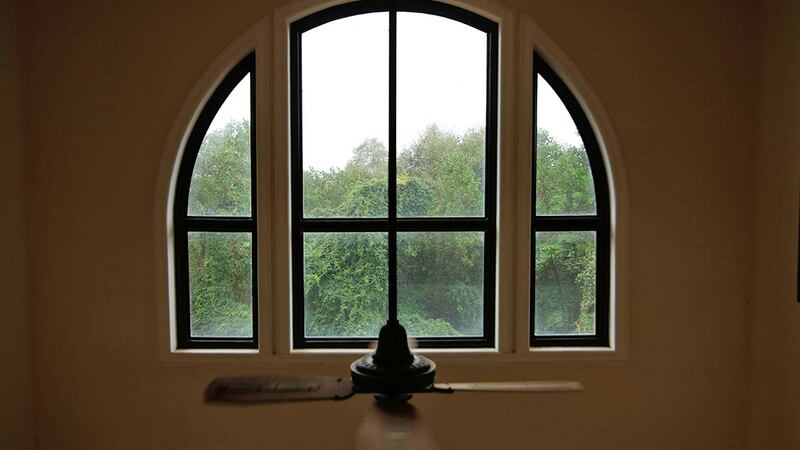 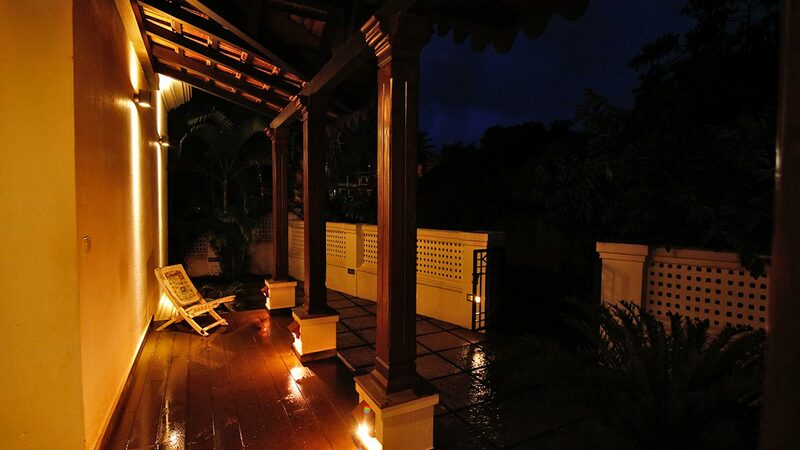 This quiet and peace will only make you realize what you have been missing out on in the humdrum of your busy life. 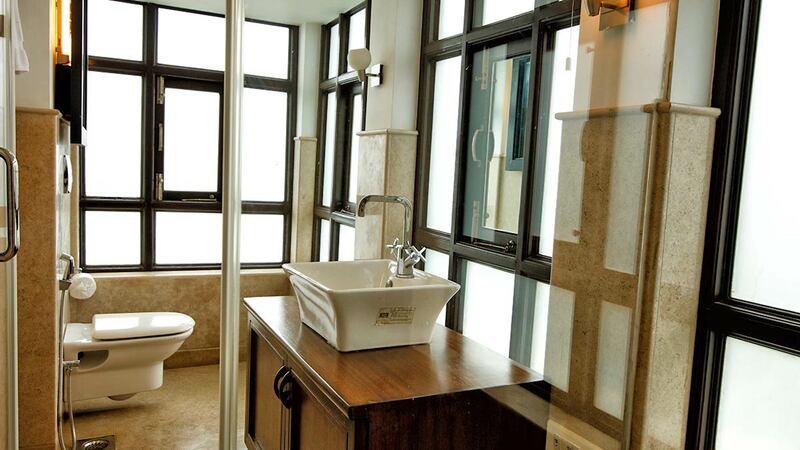 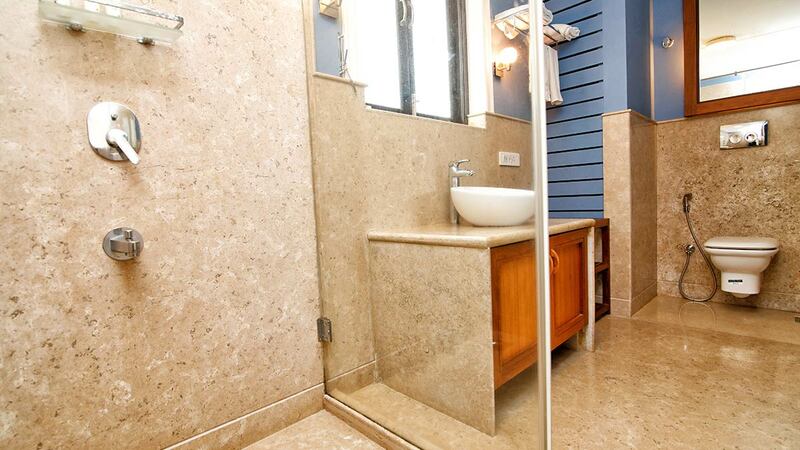 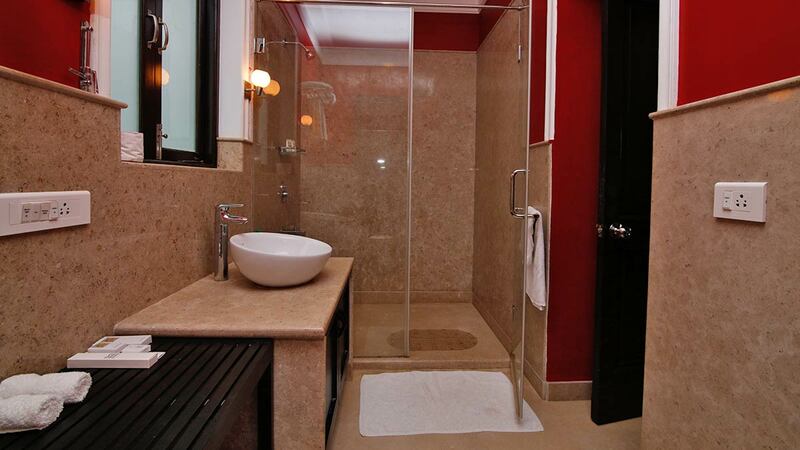 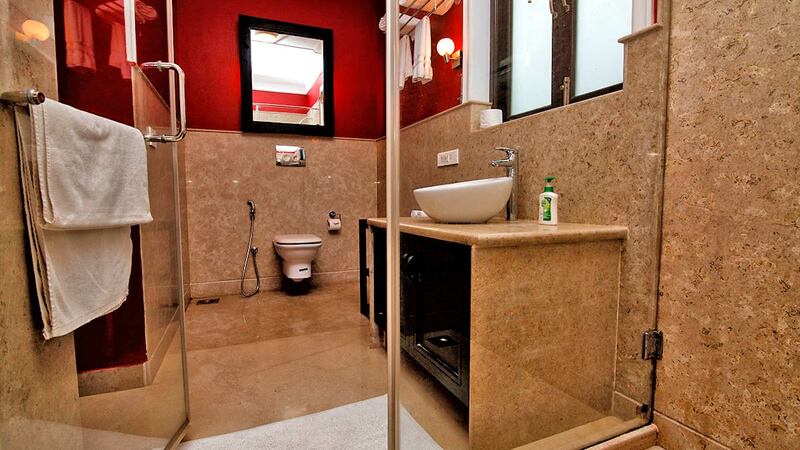 The bathrooms have shower cubicles, wash basins and toilets. 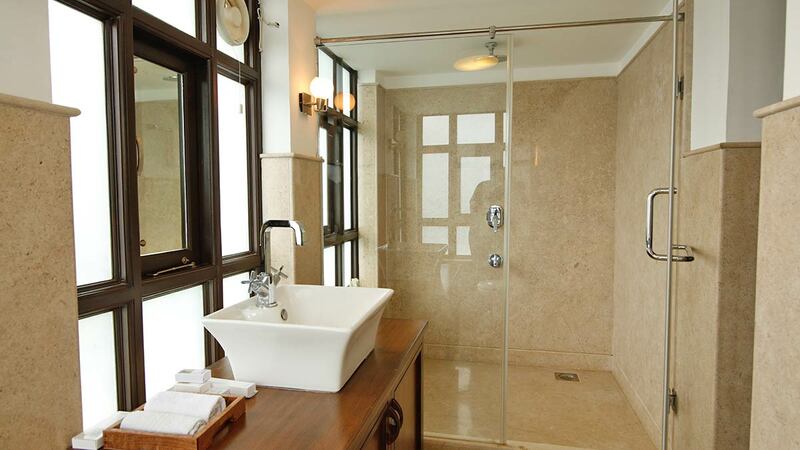 Walk up one more floor and it just keeps getting better!!! 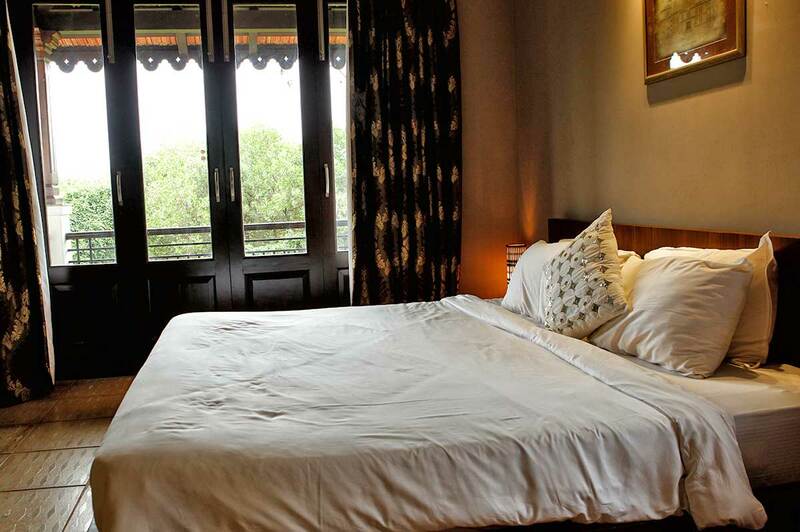 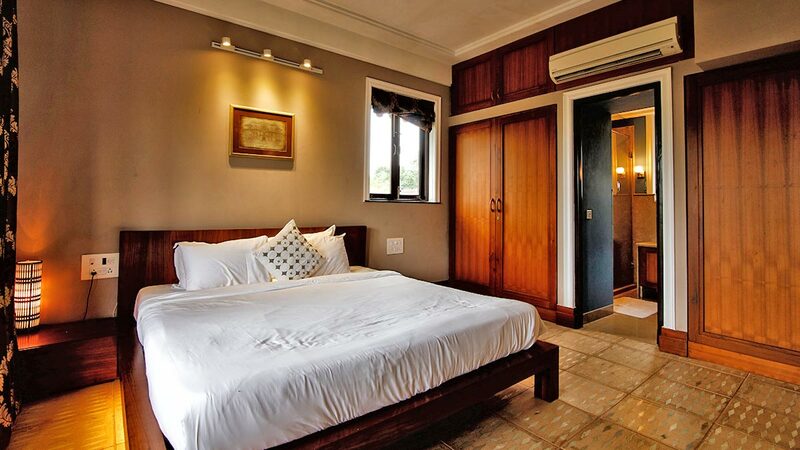 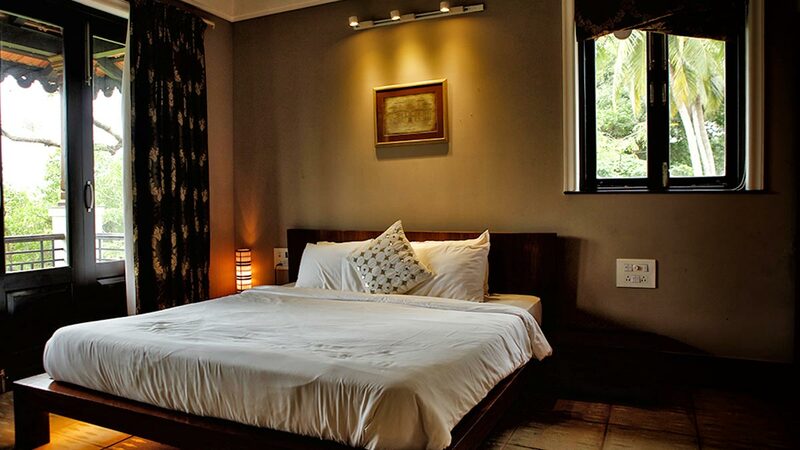 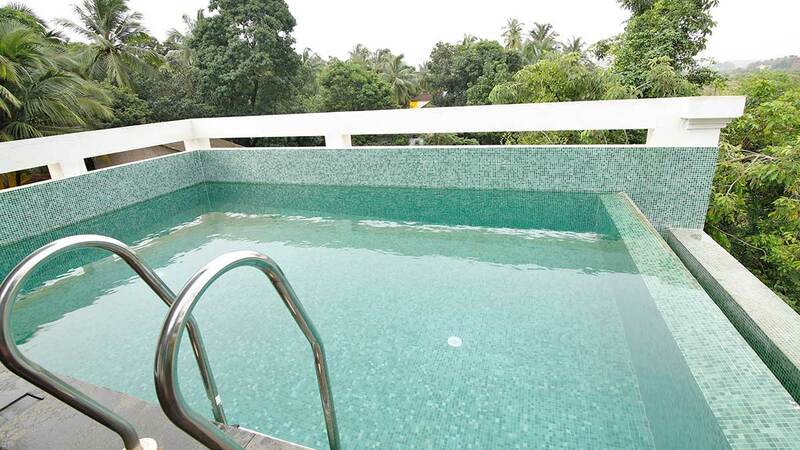 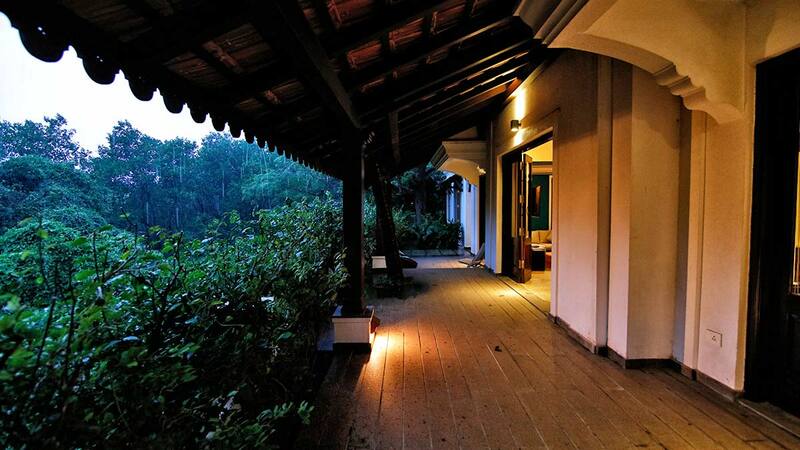 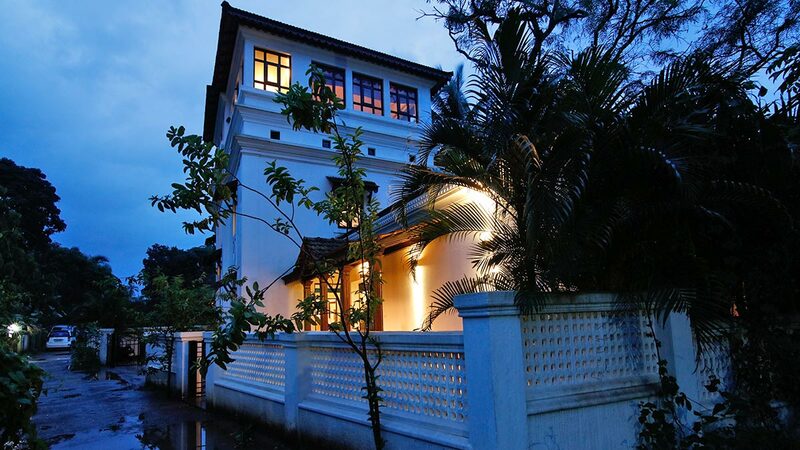 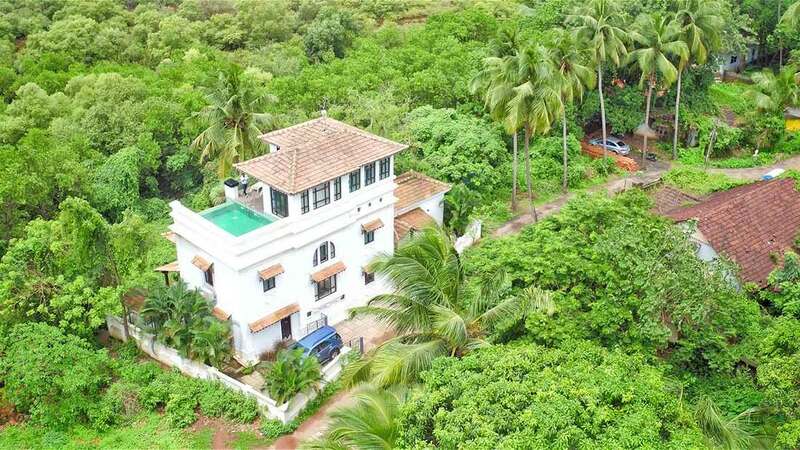 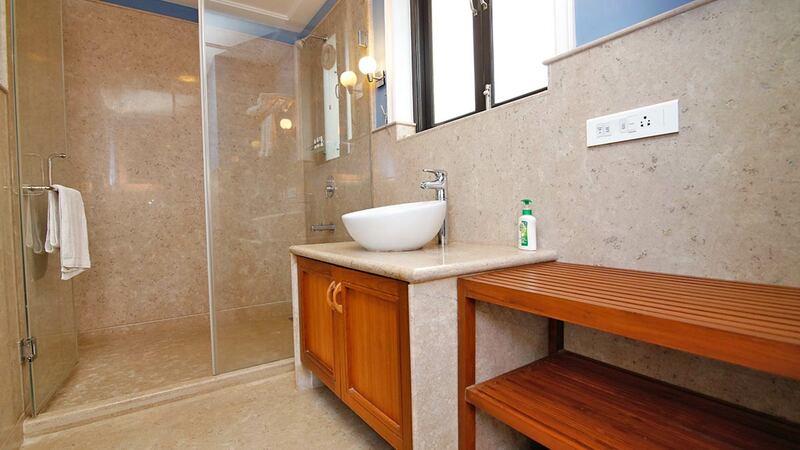 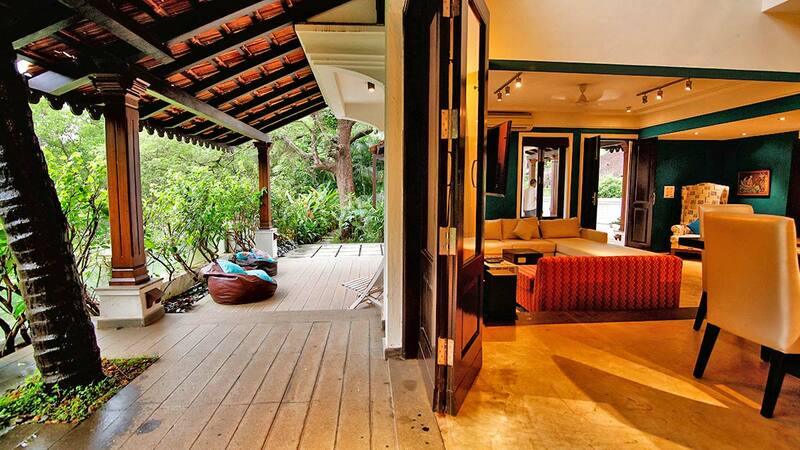 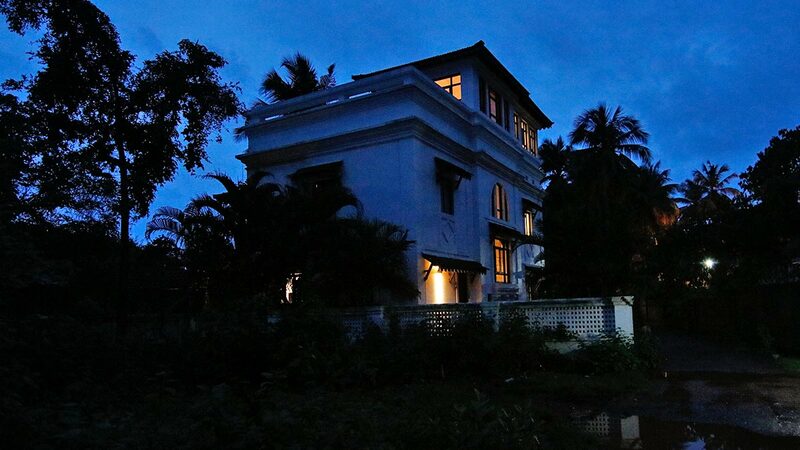 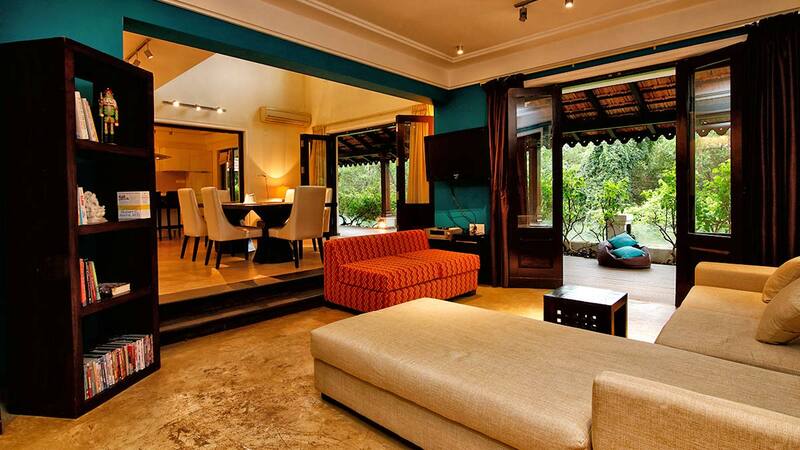 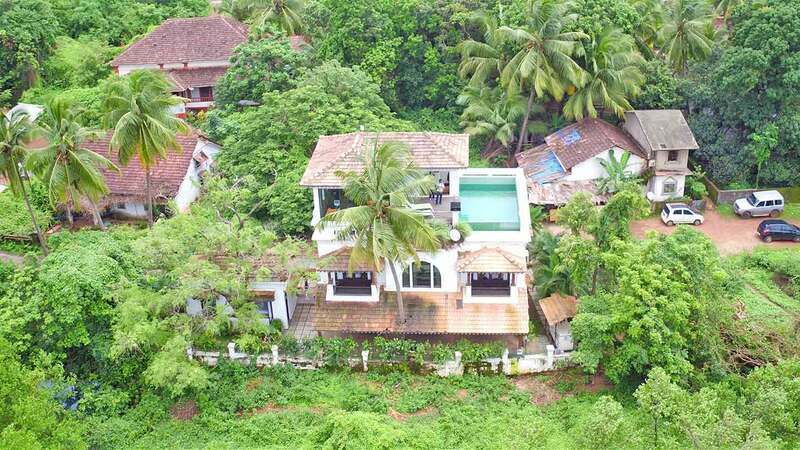 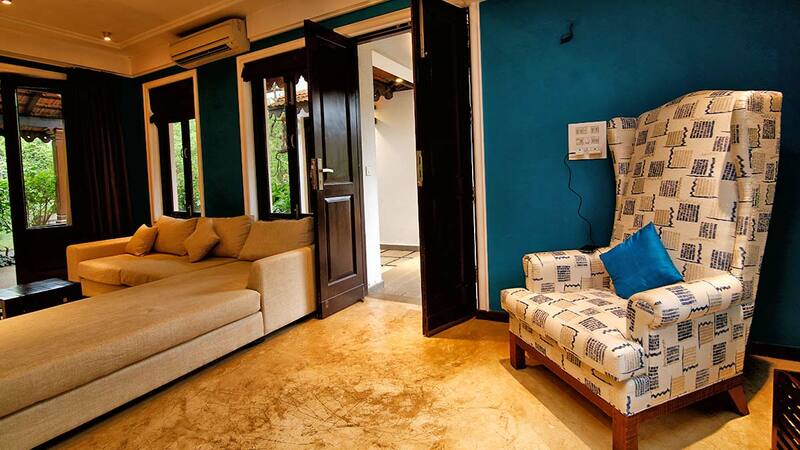 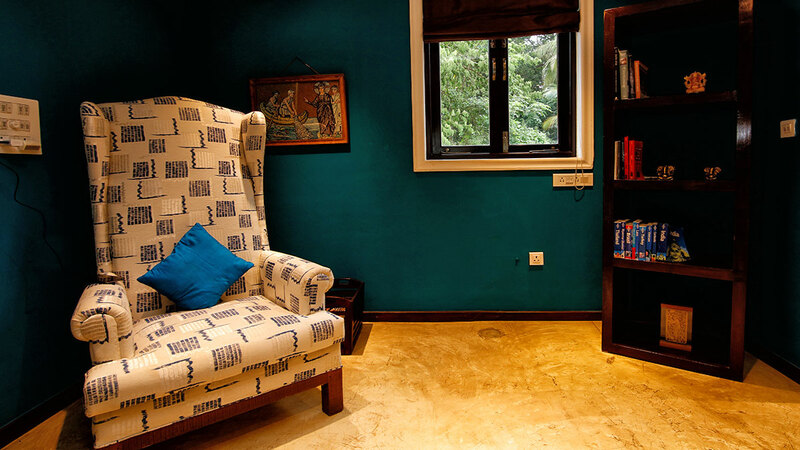 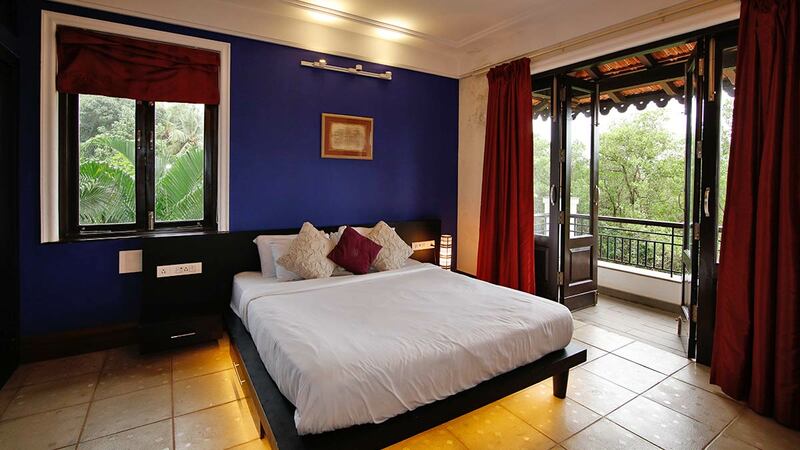 The top most floor of this luxury villa in North Goa hosts the third bedroom with an ensuite bathroom. 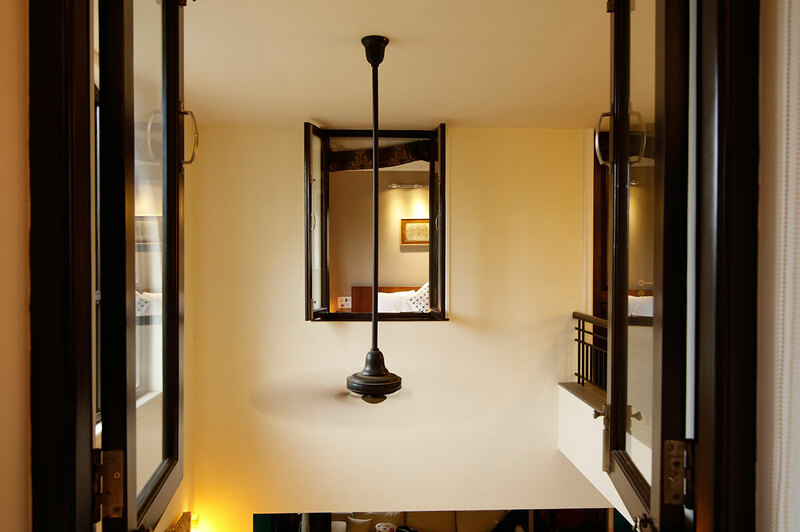 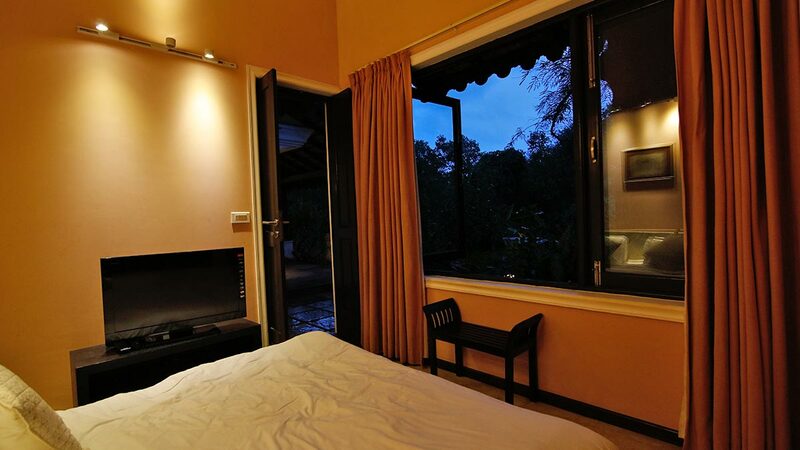 Wake up to the unobstructed view of the swimming pool through the floor to ceiling glass windows. 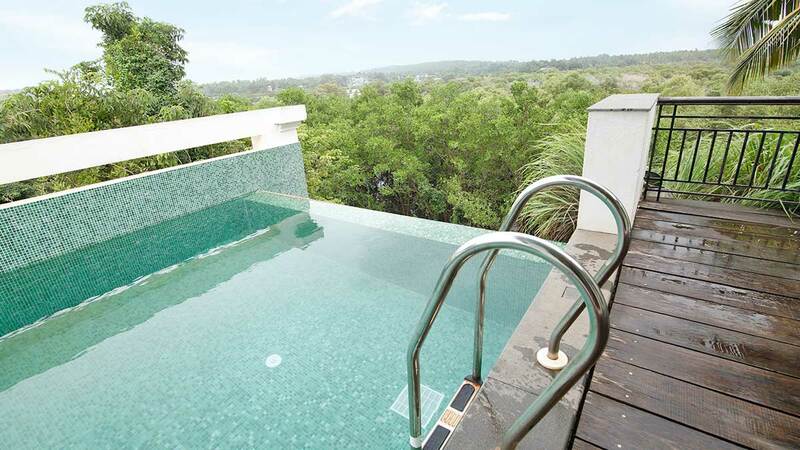 The glass door takes you to a small infinity pool on this level. 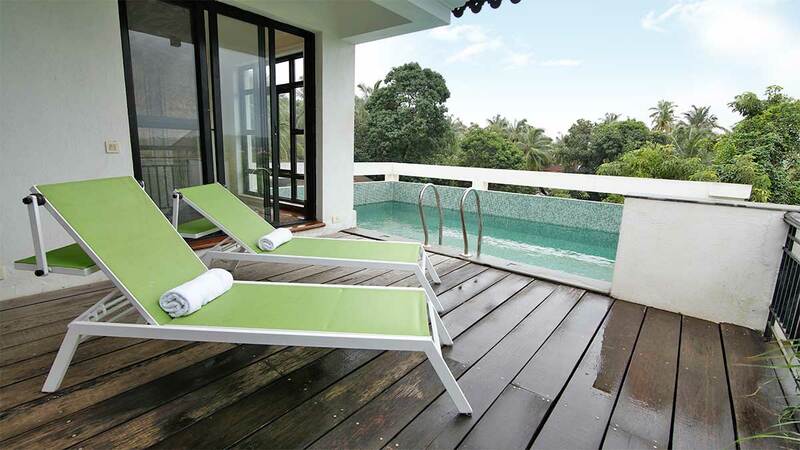 Walk out onto the beautiful sun deck where you can lounge all day and take long dips in the roof top pool and also enjoy the view. 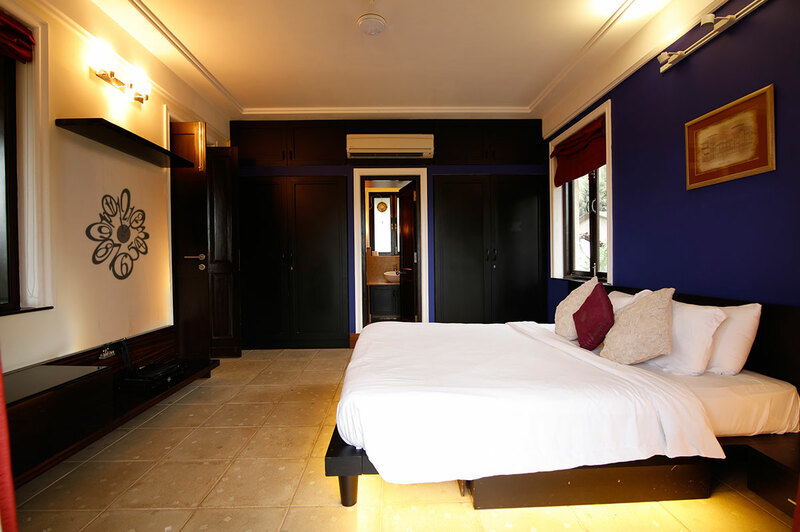 - 1 x air con ensuite bedroom.